What if we could have stopped HIV before it spread from chimpanzees to humans and became a devastating worldwide pandemic? It is questions like these that drive Stanford virologist Nathan Wolfe, founder of the Global Viral Forecasting Initiative; a unique research institute headquartered in San Francisco, with field offices throughout equatorial Africa and East Asia. ^Wolfe and his multidisciplinary team have spent the past ten years developing a global system to prevent future pandemics. ^The organization’s strategy is simple. Research has shown that most major diseases afflicting humans originated in animals, and that exposure to wild and domestic animals leads to continuous spillovers of novel agents. 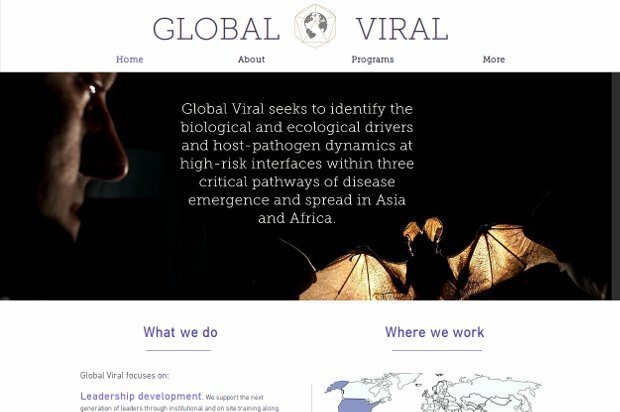 In response, the Global Viral Forecasting Initiative has created an extensive network of viral listening posts in villages from Sierra Leone to the Democratic Republic of Congo, and has compiled a registry of viruses in other regions where pandemics often originate. Using the mountains of data harvested via this ongoing global surveillance effort, the organization has partnered with a consortium of top laboratories to derive basic insights into how new diseases enter humans, and therefore detect and stop pandemics before they spread. Similarly, trained field teams work with local communities to provide education about the risks of contact with wild animals and the steps necessary to avoid potentially catastrophic infections.